Our Members in the news. The founding members of the Individual Users’ Association, now known as the EURALO Individuals’ Association, assumed the role of interim leadership until 21 October 2015, when the first Annual General Meeting of the association took place in Dublin, in the framework of the ICANN-54 international meeting. 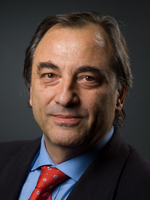 Roberto Gaetano has been an active participant in the Internet and the ICANN policy making process since 1997. As a representative of ETSI (European Telecommunication Standards Institute), he played important roles in the formation of CORE (Council of Internet Registrars), the policy discussions around the U.S. Government’s White Paper (International Forum on the White Paper), and the formation of ICANN’s original Domain Name Supporting Organization (DNSO). He served as one of the first chairs of the DNSO General Assembly and has focused his efforts in recent years on bringing to life a constituency for individual users and registrants. Roberto has been the ALAC (At-Large Advisory Committee) Liaison to the ICANN Board, then a NomCom-elected ICANN Board Director. In this capacity, he has served in several committees, and as Vice-Chair. Was the Interim Chair of EURALO Individuals’ Association before its first General Assembly, and was elected as its Chair for 2017-19. Currently, he is the Chair of the PIR (Public Interest Registry) Board. 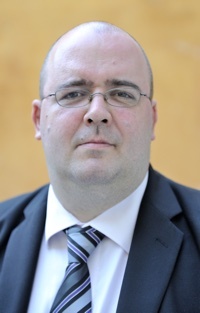 Stéphane Van Gelder (1967-2018) was active in Internet governance for many years. He was a board member for the French registry AFNIC from 2004 to 2010. He was elected treasurer of ICANN’s Registrar Stakeholder Group in 2008, and that group’s European representative on the GNSO Council that same year. 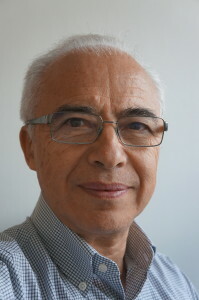 Stéphane was elected Vice Chair of the GNSO Council in 2009 and Chair the following year. He was re-elected as GNSO Council Chair at the 2011 Dakar ICANN meeting. Stéphane served as Chair of ICANN’s Nominating Committee. Stéphane earned a Bachelor of Science degree in Computer Science from Sussex University (UK). He was a print and TV journalist for ten years before turning to the Internet. He died in a road accident in 2018. Our Association paid tribute to his strong engagement in Internet and ICANN matters. The ICANN 2018 Multistakeholder Ethos Award was bestowed posthumously on Stéphane. 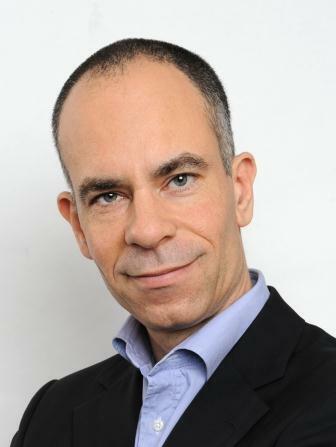 Jean-Jacques Subrenat was elected as the inaugural Chair of the EURALO Individuals’ Association (2015-17) and currently serves as its Vice Chair (2017-19). As a member of the NTIA IANA Functions’ Stewardship Transition Coordination Group (ICG, 2014-16), took an active part in preparing the transition of oversight of the IANA Functions. Member of the NetMundial Initiative Coordination Council (NMI-CC, 2014-16). During his service on the ICANN Board (2007-10), was a member of the President’s Strategy Committee, co-authoring “Improving Institutional Confidence” and its recommendations; created and was first Chair of the Public participation committee; initiated and was an inaugural member of the Global relationships committee. As a member of the At-Large Advisory Committee (ALAC) in ICANN (2010-14), launched the Future Challenges Working Group, co-authoring “Making ICANN Relevant, Responsive and Respected (R3)”. A former French diplomat (1972-2005), served in various embassies, and in the ministry of foreign affairs in Paris (policy planning; diplomatic advisor to the Minister for European affairs; deputy director for Asia and the Pacific; alternate director for the Americas). Was permanent representative and ambassador to the WEU (Brussels), ambassador to Estonia, ambassador to Finland, interim governor in the Board of governors of ASEF. Was a tutor at France’s International institute for public administration (IIAP, Paris), and later at the French national school for public administration (ENA, Strasbourg). 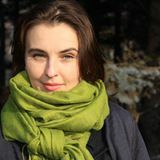 Served as Chair of the advisory board, Institut Pierre Werner (Luxembourg); special advisor to the board of Neumunster cultural centre (CCRN, Luxembourg) and, in that capacity, member of the board of the European Union national institutes of culture (EUNIC). A Community Contributor at WikiTribune.